Valet Parking directly across the street. Located in the heart of the North End, VINOTECA di MONICA is Chef Jorge Mendoza-Iturralde latest culinary venture with an emphasis on Rustic Regional Italian cuisine and Wine Spectator’s Grand Award for one of the largest Selections of Italian wines in the city. You no longer need to travel to Italy to experience the marriage between regional Italian food and wine. The menu focuses on the preservation of traditional regional dishes, with an unpretentious dedication to the true flavors that make regional Italian cuisine so popular. The art of pasta and bread making are carried out daily, for your sampling, where the freshest ingredients is an everyday affair. VINOTECA di MONICA is the result of Monica’s Restaurant evolution and its chef‘s passion for the Italian culture and the big role food and wine plays in its preservation. Reservations Recommended. Went for Dinner last night! The dinner was excellent the service was outstanding! Our server Matto was so good! Everything came perfectly timed! Waited 20 min for a table despite reservation. Waited 30 min for bread. Waited 1hr for food. Food was “meh”. Basically a lot of waiting and not very good food. Edit— the next day I got a phone call from someone at the restaurant chastising me for writing a bad review! Really weird. If you want people to write good reviews about your restaurant, try serving the food within an hour of it being ordered. Try not delivering me a $30 pasta dish with white sauce instead of the red sauce I ordered and then “fixing” the problem by pouring red sauce over the white sauce. Your restaurant deserves 2 stars, so that’s the rating I gave it. Don’t call me again. Vinoteca did not disappoint once again. It has become the place we take our out-of-town guests in the North End. We were there for dinner before the marathon, making it the busiest and noisiest it has ever been, which is expected. The salads are large enough to share between two people, maybe three. I really enjoy the white bean paste for the bread. They used to have the asparagus bruschetta as a special, but I think it is now on the menu regularly (we used to order it at Trattoria, their other restaurant). It realistically feeds two, and it is DELICIOUS. In terms of entrees, my husband had his favorite bolognese (the lamb ragout was out), and his mother enjoyed hers, as well. My SIL's boyfriend had had the spicy mussel dish on their previous visit, and he said he had waited 10 months to have it again. It was just as good as he remembered. I usually go for the bolognese or carbonara, but I ordered the spinach-stuffed ravioli special, and it did not disappoint even though I had been craving the carbonara all day. My father-in-law ordered the lobster ravioli, and he said it was really good. It actually had lobster (this doesn't always happen at places, even in the North End). If you are looking for something a little lighter, try the chicken lasagna. I have yet to order a bad wine from the extensive list at Vinoteca. It was quite busy that night so the service was not as good and attentive as I have had in the past, but I will chalk that up to the crowd. The servers were bustling. I keep saying we may branch out and try other places, but we always end up back here. Vinoteca is excellent, and I highly recommend it. Fabulous experience! We were seated at a cozy table near an open window. Our server was friendly and attentive. We both had pasta dishes that were 5 star. 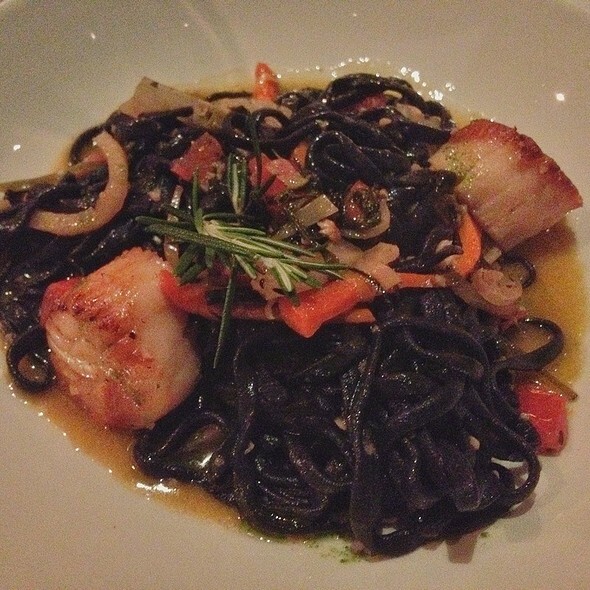 The food was amazing and the staff is extremely knowledgeable, friendly, and helpful. Great dining experience! The restaurant was busy. Host told us it would take ~25 mins and it took 55 mins for us to be seated despite having a reservation. We could have just gone somewhere else if they had been honest with us. Restaurant also canceled my OpenTable reservation after we checked in and finished eating. I think they did this to stop me from leaving a negative review - I let the host know that I was disappointed in the seating time. They literally tried to then block me from potentially leaving a fair and critical review by canceling the reservation, after we had already eaten, so that I wouldn’t be able to review on OpenTable. I emailed OpenTable to fix it specifically so I could leave this review because I think it’s dishonest business practice. Service was bad, food was average. They comped our dessert which was nice, but after waiting an hour I kind of expected them to do something to make it up to us. It was a birthday after all. Food and Service were both Fair. There are many restaurants on the North End that are much better. Amazing experience. The ambience and service made to an amazing date night. The quiet window table the lovely hostess gave us was the perfect gift. Veal chop and Spinach pappardelle were mouth watering, to finish off we had an amazing bread pudding our waiter Philip recommended with an amazing grappa and a good fernet. Definitely coming back very soon !!! Thank you so much for an Amazing evening! Wonderful experience at Vinoteca di Monica's. We got seated right away. Service and food are exceptional. This is my new favorite restaurant. Would recommend this restaurant to everyone!!! DELICIOUS! I had not been there in a while and always remembered how good it was. It absolutely lived up to my expectations and memories. Cannot wait to go back again, outstanding. Vinoteka is our place to go to! The place is terrific so classy and so nice the food is outstanding the best delicious homemade pasta and everything else it's so yummy!! !The service Rock all the time!We literally just had the best waitress that we ever had!She was so sweet and funny and she gave us great vibes and she made our dinner more Enjoyable!!! I highly recommend this place! And just for recommendation, Try Crespelle ai fungi Unbelievable!!! Came on a rainy Sunday with my family. The ambiance is beautiful and in the summertime I bet even more so, as they have a wall of windows that can be opened. I also like how the bar was separate from the dining area, although the restaurant itself is still very loud. I really have to highlight how displeased I was with the service. Our server rushed us from the second we sat down and had a very bad attitude. We started with an antipasto plate and she was upset we weren't ready to put our entrees in. 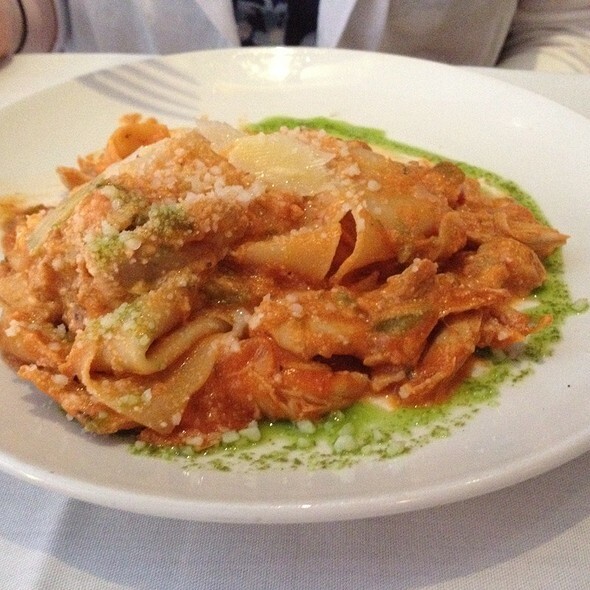 The menu is extensive and features fresh pasta which is why we went there, so we wanted to take our time. She must have come over 3-4 times in the matter of 10 minutes until we put our entrees in. I'm not sure what the rush was, as we waited almost an HOUR for our food to come out. There was a couple that came in next to us, ordered appetizers and then received their entrees within 10 minutes. When I finally asked about ours, I got an attitude and she rolled her eyes and said it was being worked on and asked if I finally decided to order wine. The food itself was good but nothing special for the price. I had the chicken marsala which was served with soggy mushrooms and skin-on chicken. My father had the pasta with shrimp and my cousin had angel hair with clams. I may be back in the summer to sit by the window, but most likely not as there are too many other places with better food and good service in the vicinity. I came here with a group before a concert on a Sunday and it was a great experience. The service was attentive and the food was delicious - will definitely be back! My daughter and I went for brunch on a Saturday. I had the smoked salmon with bagel which was fantastic while my daughter enjoyed your typical breakfast of eggs, bacon and toast. Great deal on mimosa’s with brunch! The staff was attentive and friendly. We enjoyed breakfast so much that we almost made dinner reservations for the same evening but didn’t because we had other plans. Would definitely recommend this restaurant. Delicious food! We loved our experience. A friend recommeded this restaurant & we would highly recommend it too! The service was great too! Dessert was fabulous! 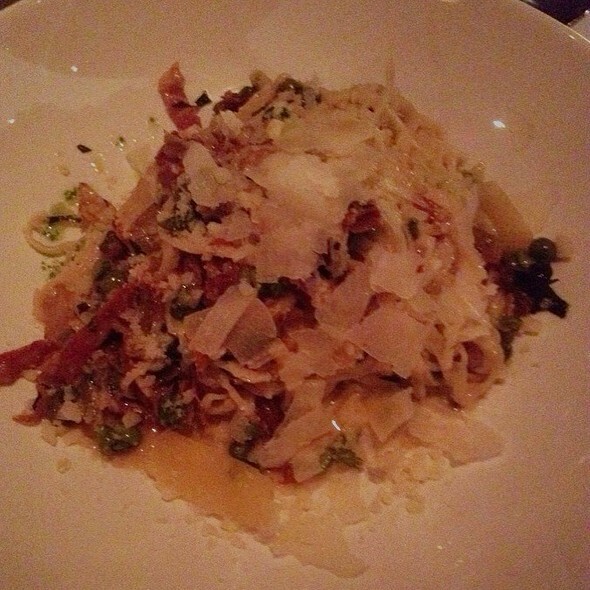 They're famous for their pasta & they did not disappoint. 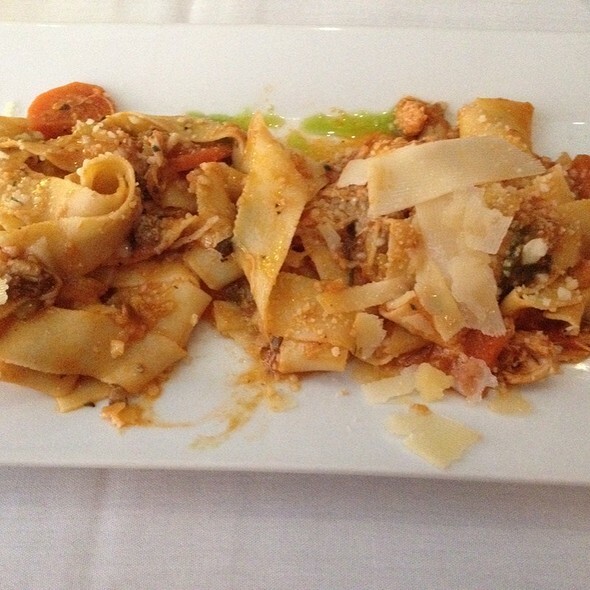 I had their housemade spinach parpadelle with chicken & mushrooms and it was spectacular. I would love to go back & try other dishes. The service here is always exceptional. If you are visiting on a weekend you need your entire party to be seated. Once inside you will understand why. It is very quaint so there is no point taking up tables that could be used for guests ready to dine. The food is cooked to perfection and always better than described. I had the eggplant parmigiana appetizer and it was amazing. Their fish special is always something amazing. I finished it off with the flourless cake. Perfect evening. The food was great and service was nice. Helpful, patient. Didn't rush us through our large, very nice antipasto plate. Asked us when we were ready for the main course to be prepared. Will definitely go back. Love this place been coming for so many years, never get disappointed! It’s such a great place and delicious food starting from fresh homemade bread to the deserts taste so good!!! Can’t wait to come back!!! While I would recommend this restaurant, I have to say that we were there on a Saturday night which was so busy and crowded, we had to wait over 20 minutes for our reserved table. Many other people were doing the same, and unfortunately the restaurant has no space for waiting - we were all in the way of the busy servers and bus boys passing through. Also, I was seated on a banquet and they sat a table of 5 people next to us at a table meant for four. This meant that one man was practically sitting on my lap! I think the management needs to evaluate taking too many reservations at once and not being able to handle the numbers or consider the comfort of clients. Food-wise, we enjoyed our meal. My husband's pasta with lamb ragu was wonderful. I ordered King Turbot, which is a rare fish for these parts, and have to say although the preparation was good it was quite overcooked (which is a sin!). I would go back at a quieter time and order salad and pasta. Also, a restaurant located right next to Salumeria, the best grocery store in the North End, which sells excellent bread, should not serve the very sad pedestrian bread that they served. One of the best in the north end of Boston. My wife had the shrimp and Angel hair pasta, it was outstanding. 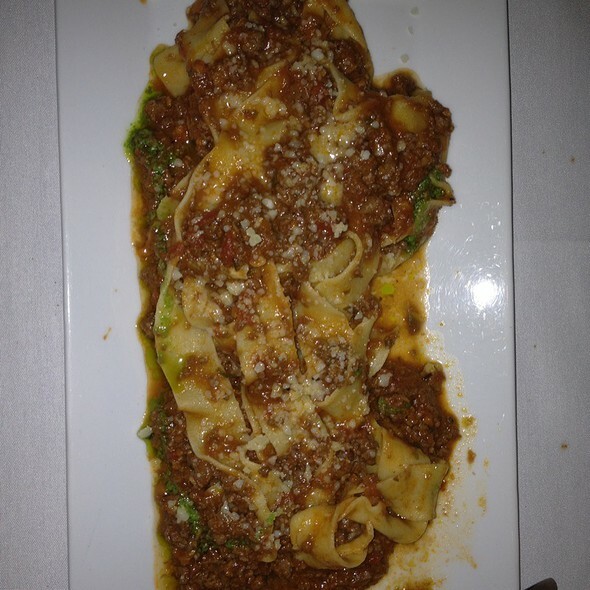 I had the Bolognese over pasta, and it was exactly as I wanted it. We all enjoyed our dinners. Food was served hot and was delicious. Our server was excellent. Took my husband here for dinner on his birthday with my parents. Service and food were both excellent as always. We had a late reservation after a Bruins game and although we were practically the last table there, we were never rushed. The meal was paced very well and overall it was a very pleasant experience. Love this place! Vinoteca di Monica is our “go to” restaurant. We can always count on friendly faces that make it feel like visiting friends. 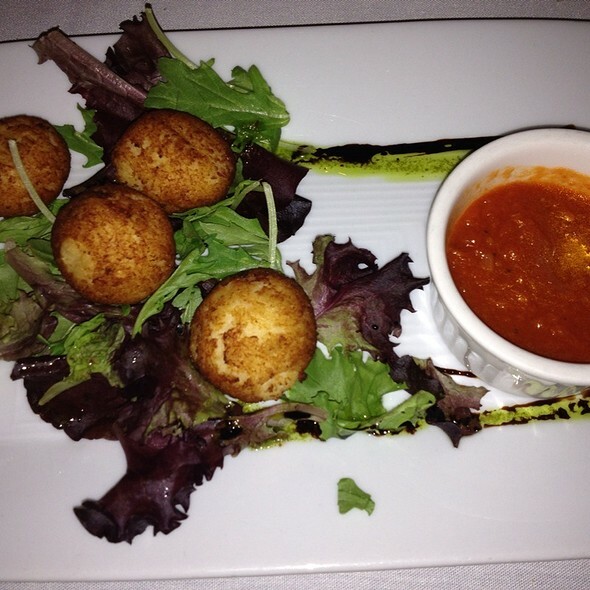 The service is outstanding and the food is always delicious. In addition, there is a full bar, which many of the North End restaurants do not have. 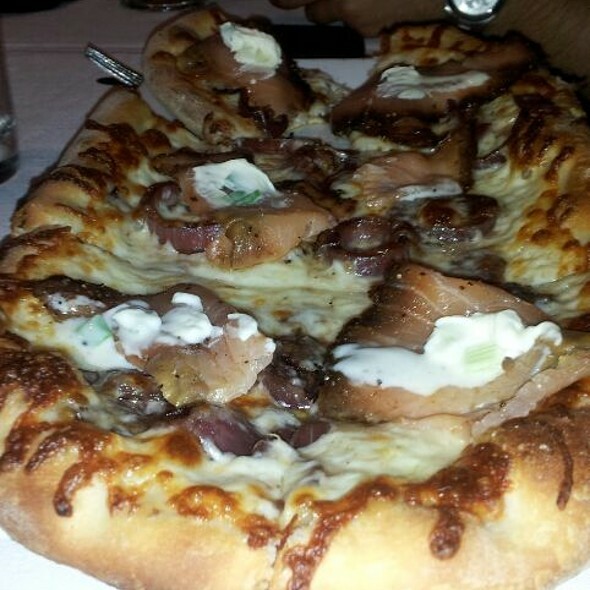 It is as good choice after a tiring day as it is for a special occasion. This place is one of my favorite restaurants that serves italian food! Everything is so delicious and so good! Every time I come here I enjoy more! It was perfect - cold Tuesday night so it wasn't busy but we had a great waitress named Paola and she made the whole evening so enjoyable..The food was phenomenal and the locale very convenient and it was beautiful inside. Had dinner with my husband tonight, everything was excellent starting from our cocktails,food was excellent, the gnocchi with the black truffle was the best dish I ever had. Our server Albana was so welcoming and attentive with us. You must give this restaurant a try . The food was a little pricey but very good. Everything was cooked to perfection and excellent. 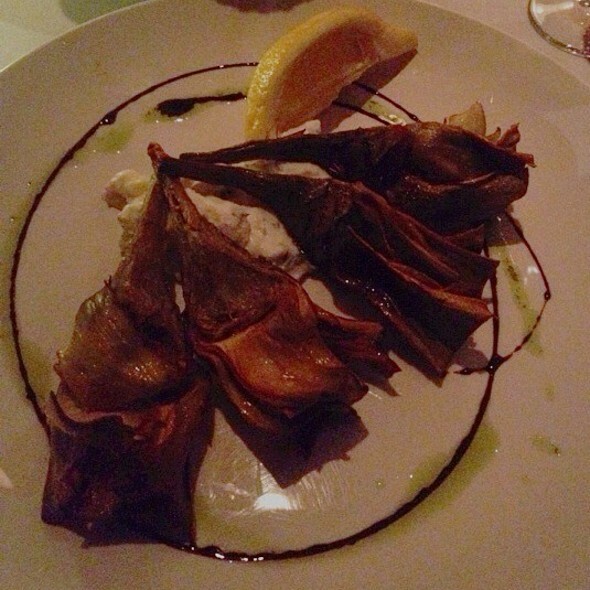 The service was superb and the ambiance of the restaurant was very nice. This place is one of my favorite place ever! The best homemade pasta that I ever ever had! I had Grilled truffle Palenta with Buffalo mozzarella and Salted mushroom with shaved black truffles for Appetizer And for dinner I had to lobster fried Diablo oh was amazing so good my husband had chicken Parmigiana so delicious! Our Waitress Rozita Give us great recommendation we had the best dinner ever! Can’t waite to come back! Such a delicious Brunch, I had the bruins Lumby ,had almost everything in it was so good! the best bloodymary I ever had only $4. Alex the host he was very sweet and he gave us the table next to the window! Such a nice warm place the service was amazing and ambience was upscale. 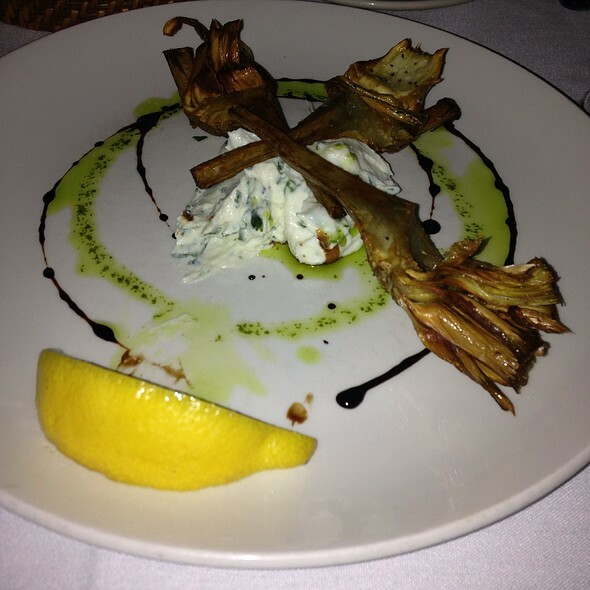 Love the grilled calamari appetizer. The waiter was very attentive. Decent wine prices. My siblings and I took my dad here for his birthday and we all LOVED every thing we ate. There was so many great options on the menu and we all had to try bites of everyone else's plate because it all looked so delicious. The service was great! Our waiter, Phillip, was very nice and explained all the specials to us and answered all of our menu questions to help us pick the perfect meal. We all ordered different desserts and they were all incredible. I can't stop thinking about the food, we can't wait to go back!